Several cosmetic dentistry procedures are available to rejuvenate your smile. Whether you need to replace a missing tooth or simply want a brighter smile, there is a cosmetic dentistry procedure that can meet your needs. A dentist can recommend the appropriate procedures to achieve the results you desire. At Prestige Dental Network, Dr. Allan Kwon and Dr. Jenny Kwon are your dentists for cosmetic dentistry in East Hartford. Teeth whitening treatments provide a great way to brighten and refresh your smile. Professional teeth whitening treatments deliver superior and longer-lasting results to over-the-counter whitening products. For instance, in-office whitening treatments can whiten the teeth by several shades in just one treatment, with the results lasting for several years. Dental implants help fill in the gaps in your smile by replacing missing teeth. 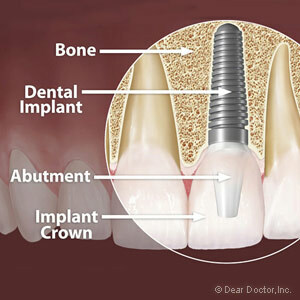 A dental implant functions similarly to a tooth root by securely anchoring an artificial tooth in place. Dental implants can be used in conjunction with dental crowns, bridgework, or implant-supported overdentures to replace missing teeth. Porcelain veneers can transform your smile by giving teeth with cosmetic flaws a flawless appearance. 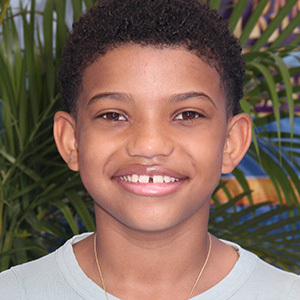 Veneers are thin covers placed on the front of teeth to conceal chips, cracks, discolorations, or other imperfections. Once in place, a porcelain veneer blends right in and looks like part of the natural tooth. Dental bonding provides a means for correcting a variety of problems, including chips and cracks in teeth. Dental bonding can also be used to close small gaps between teeth. A resin material is applied in gaps or over chips and cracks. As the resin dries, it bonds with the tooth. Once dry, the resin blends in with the natural tooth and looks completely natural. Many cosmetic dentistry procedures exist to rejuvenate your smile. A dentist can help you select the right ones for you. For cosmetic dentistry in East Hartford, CT, schedule an appointment with Drs. Allan or Jenny Kwon by calling Prestige Dental Network at (855) 697-7378.